This beloved, family-friendly event showcases a variety of food, pet-related vendors and demonstrations. Bring your pet along so they can enjoy a nice stroll through the park, as well. Enjoy a free movie under the stars with family and friends every Friday night this summer. Make sure to bring your own lawn chair and your cozy blankets for seating. A relaxing morning lies ahead after completing an hour of yoga each Saturday morning this summer at Victory Park. This class is free and open to all levels of practice. Attendees will also have the chance to donate to PCMA Food Pantry of Pickerington. 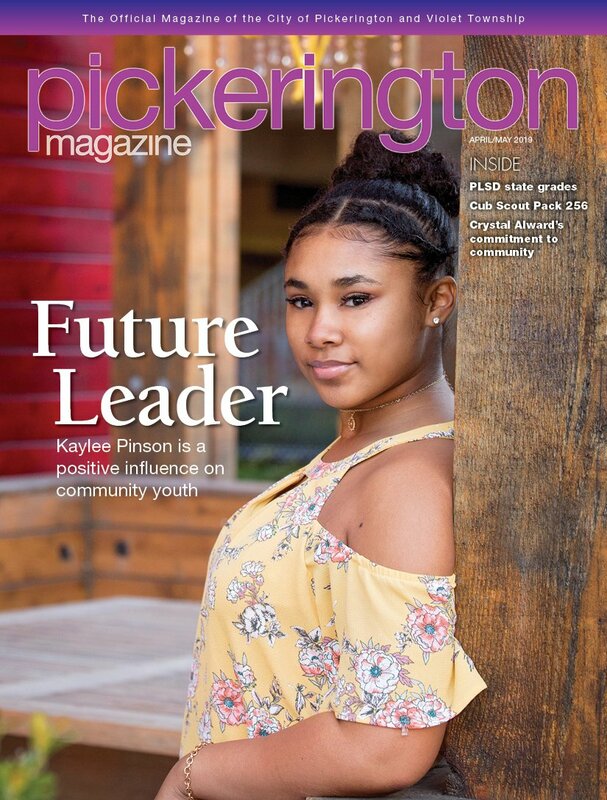 The City of Pickerington hosts its summer concert series, encouraging the community to enjoy live music and the great outdoors. Don’t forget to bring your own lawn chair or blanket for comfortable seating. Open to all ages, Tricky Max will kick off your summer the right way with an all new magic show featuring an electric guitar and a variety of rockin’ songs from Lil’ Bow Wow. Held at the North Street Center location, these weekly markets offer goods from local farmers, bakers and artisans. Enjoy a walk around the market as well as the shops and restaurants in the area. Open to 60 students, this theatrical summer camp focuses on coordinating a performance in just one week. Students will audition and then rehearse all week, learning lines, songs and choreography to develop a full-length performance to showcase to the community that weekend. Say “Aloha” to the weekend and enjoy your own paradise at the Pickerington Community Pool. Share your favorite dish with others at a potluck dinner, and don’t forget your Hawaiian shirt and lei for a tropical evening. Take a late-night swim while enjoying a movie projected on an inflatable screen. This film under the stars, along with a dip in the pool, will be an event for all to enjoy. After a week of practicing and perfecting, students from Missoula Children’s Theatre Camp will perform their rendition of Robin Hood, a classic tale we all know and love. Open to teenagers ages 12-18, this program celebrates Music Rocks week with a number of interactive activities. Drop in to the main library to play Just Dance and create your own smartphone speaker. The Newport Aquarium will make a splash at the main library with a well-known sea creature. Open to all ages, participants will get up-close and personal with live sharks, along with different shark artifacts from the great blue sea. This free program for adults celebrates the history of Pickerington in a visual way. Enjoy learning about Pickerington’s past while viewing pictures of different people and places over the years. A Q&A session will be held afterwards for those who wish to participate. Celebrate our nation’s birthday with an eventful evening at the park. Enjoy rides, food, live music and fireworks with the whole family. This STEM-focused summer camp allows kids to learn how things are designed and produced from start to finish. Led by a college instructor and high school STEM teacher, students will tour various manufacturers and businesses witness technology and automation in practice. Bug out with Dr. Insecta and his little friends as they crawl to the library this July. Enjoy a hands-on experiment with live bugs and put your science skills to the test. Come and experience a four-day festival that will take over Victory Park. This family-friendly event offers carnival rides, shows, music and more. Food vendors are also available, providing your favorite carnival classics. Spend your evening under the sea with PCT as they perform this classic Disney tale. Bring your family and friends for a night with Ariel as she searches for true love. Get your family in motion with a day full of outdoor activities, including biking, swimming and running. Test your problem-solving ability as you work through various clues and puzzles with your team to survive and escape from the library. Enjoy a peaceful morning of fishing with your family and friends; bring a pole, bait, and determination as the Pickerington community tries to catch the biggest fish in the pond.